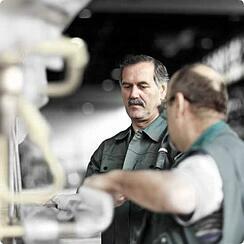 In manufacturing and on production floors around the world, Lean and Kaizen practices have become commonplace. We have found that it doesn’t stop at the end of a production line or assembly process. 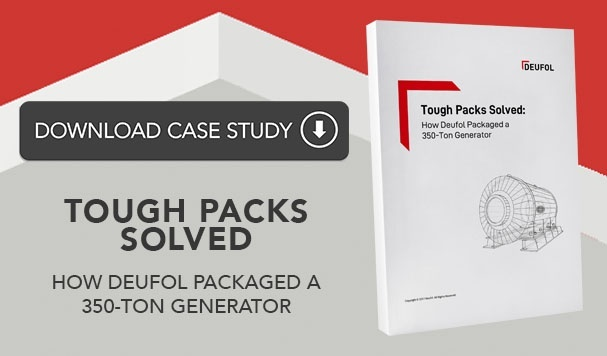 In fact, it’s critical to consider the value that can be found in your packaging and preparation for it’s most critical trip – to the end user. When it comes to export and industrial packaging, the word “lean” is often used to describe objectives. Many companies want lean packaging processes that reduce waste and boost margins. Others may literally want lean packaging that uses few materials, meets sustainability goals and provides critical protection. 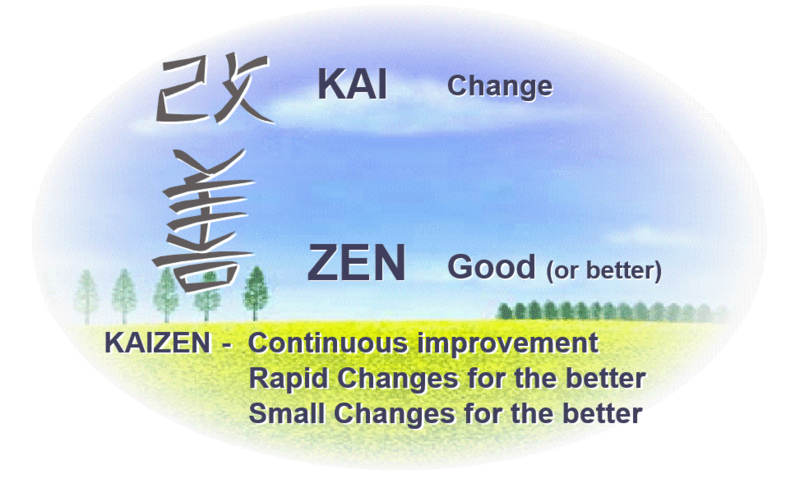 Kaizen is a process that helps a manufacturer make incremental improvement on a daily basis. When implemented properly, Kaizen is a process that helps a manufacturer make incremental improvement on a daily basis. Those small daily improvements compound over time and accumulate into substantial reductions in waste and increases in efficiency. At Deufol, we long ago embraced Kaizen and implemented it as a guiding philosophy from our executive offices all the way to our warehouses, manufacturing centers, and other facilities. We’ve seen firsthand how Kaizen not only benefits our internal processes, but also helps our customers with their packaging and distribution efforts. It’s been our experience that when having a Kaizen event with our clients, we find that there are great savings if you look beyond the “box” and into how it can best serve the need at every step of production to delivery and installation. And for this reason, we are making the Deufol international Kaizen team available to our customers and finding dozens of saving and opportunities for improvement. Not sure how Kaizen would impact your industrial packaging and supply chain? Below are three of the most important facets of Kaizen philosophy, along with examples of how they work in a practical sense in the packaging process. If you’ve struggled to meet the demands of your top customers, Kaizen could be the solution you’re looking for. One of the tenets of Kaizen is that all employees are actively engaged in improving the company and the process. It’s not just executives and managers handing down orders. Innovation and improvement can come from a worker on a production line just as easily as it could come from a high-level engineer. This is facilitated through regular daily team meetings. Often, they happen on the floor as the production team gathers to have a quick review of goals, challenges, and areas for improvement. That kind of insight can often only come from those who are on the front lines. Kaizen encourages and embraces insight at all levels and then accommodates fast implementation of recommendations. It’s hard to get that kind of fast improvement with a traditional top-down approach. Continuous improvement is at the very core of Kaizen. Again, this is accomplished through the regular team gatherings, which may happen daily or even multiple times a day. Every member of the team is aware of the current state and the improvements that will be implemented to drive better results. At the end of the day or the designated time period, the team reconvenes to review the improvements, discuss how they were implemented, and decide on next steps. If improvement wasn’t achieved, the team may go back to the drawing board. If there was improvement, the team may set even higher benchmarks for the next day. Again, the incremental improvements on a daily basis may be small. However, if those improvements are continuously increased and pushed every day, they start to add up to big gains. Production time goes down. Costs go down. Quality goes up. It’s an unfortunate reality that sometimes issues happen in the consumer manufacturing business. A product is somehow made with a defect. A shipment shows up after the retailer’s deadline. A package doesn’t meet a retailer’s shelf space standards. While these things do happen in the consumer industry, the goal should be to minimize or completely eliminate them. In kaizen, root cause analysis is a core principle for issue resolution. 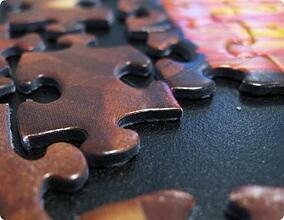 Resolution doesn’t just involve solving the problem. It also involves asking why the issue happened in the first place. Why did the packaging come off the production line slower than anticipated? 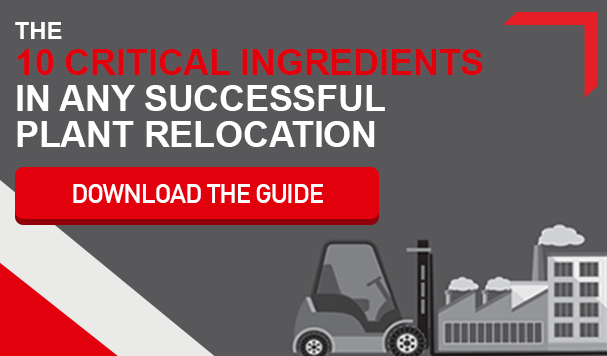 Why did a distribution bottleneck happen at the regional warehouse? Why did a product mishap occur while the container was in-transit? By asking “why,” you can then not only solve the current issue, but prevent the issue from repeating itself in the future. Kaizen creates an “ask why” culture at all levels of the process. If you are facing a challenge that seems systemic with many points that contribute to the issue, or make the solution complicated, a meeting with Deufol Kaizen team may be just the thing to help with a breakthrough. Maybe you are dealing with a packaging design or requirement challenge where current vendors don’t seem to help with anything beyond the packaging; they don’t understand KPIs, possibly unable to give quality documentation or meet your expectations – Give us a call and we’ll schedule an event! Through a friendly and well-moderated event meeting process, you and your team will be guided through a process of current state mapping, gap analysis and future state planning. We’ll put globally trained experts who have helped solve issues for the world’s biggest manufacturers to work with your team. You’ll get the support of tools, process maps, improvement plans and we will help you find that breakthrough!